Summary Josie DiSanti is starting over. Recently widowed, she has fled her New York City home with her two young daughters—spirited Rose and shy Emily—in tow. She takes refuge in Mill River, Vermont, to live with her only remaining relative, Ivy Collard, the local bookstore owner and a woman Josie barely knows. There, the young mother and her girls build a new life for themselves—until a shocking tragedy tears the sisters apart. 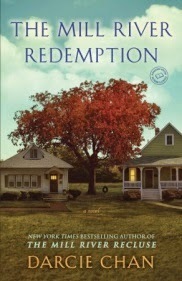 Yesterday, I reviewed THE MILL RIVER REDEMPTION by Darcie Chan. Once again, Ms. Chan has written a book that's not only touching but also compelling. I'm really becoming attached to these Mill River folks! I am very honored that Ms. Chan has taken time out of her busy publicity schedule to write a guest post for my blog, and I'm even more excited about the topic -- her publication journey. She's got a great (and very unique) story! I have wanted to be a writer since I was a little girl. In middle school, after winning a school writing contest, I rushed home with my little trophy and announced to my parents that I wanted to be a writer when I grew up. My mom, an English teacher, said, "Great! Go for it!" My dad, who also worked in education, as an administrator, gave me more realistic advice. It would be hard to earn a living as a writer, he told me, and most writers never find success. He advised me to choose another career, since I could always write on the side. I first followed Dad's advice. After finishing college and law school, I settled into a legal job I loved. Then, I finally decided it was time to heed my mom's suggestion and "go for it." I was ready to attempt a first novel. Like so many other aspiring writers working on their first books, I poured my heart into mine. When I felt the manuscript was ready, I was lucky enough to find a wonderful literary agent who was willing to shop it around – to take a chance on it, and me, despite my story being a “quiet” one and me being completely unknown as a writer. My agent valiantly worked for almost two years trying to sell my book. Unfortunately, though, as is the case with many first novels, mine didn’t find a home with a publisher at that point. I saved the file to my hard drive, and life went on. Several years later, I began reading articles about the popularity of e-books and how it was suddenly possible for writers to make work directly available to readers. My first novel was still languishing on my computer, and I felt I had nothing to lose by releasing it electronically. In fact, when I uploaded The Mill River Recluse to various e-book retail sites in May and June 2011, it was done as an experiment with two goals in mind. First, I wanted to see what sort of feedback I might get on my story, since I could use that feedback to improve my writing. And second, I hoped that, over time – what I expected to be months and probably years – I might gradually be able to introduce myself to readers. If readers liked my novel, maybe I wouldn’t be completely unknown by the time I’d finished a second book. At that time, I had absolutely no idea what was in store for me. During the first month my novel was available, I sold around 100 copies. I was so excited – to think, 100 people had my book! And surely, some of them would leave reviews containing the critical feedback I wanted. My husband, son, and I did a happy dance in our kitchen! But from then on, the sales figures exploded, and we were shocked as we realized what was happening. Within three months of hitting the “upload” button, The Mill River Recluse had sold nearly 100,000 copies and landed on the New York Times and USA Today bestseller lists, where it remained for the next seven months. I started receiving emails from readers praising my novel and asking when it would be made available in print or when I might have a second book available. In December 2011, The Wall Street Journal ran a feature on my novel and my self-publishing experience, Yahoo! News picked up the feature and ran it worldwide on its homepage. Pandemonium ensued. My phone began ringing off the hook. Other writers were calling, wanting advice or simply to get together for coffee. Other reporters were calling, wanting interviews. (I changed my number to an unlisted one immediately!) My website email inbox was accumulating emails faster than I could scroll down the page. My attorney colleagues were incredulous, as most of them had no idea I’d written a novel years before and had recently, casually decided to self-publish it. Several of my clients emailed, sending me links to the online article and saying things like, “Oh my God, is this you?” My agent was fielding phone calls from publishing companies and film studios. My family and my closest friends, scattered in a half-dozen states across the country, were calling and emailing ecstatic messages of support. I was a quivering mess. All I could do was sit and hug my son. I knew that things had changed permanently for me at that point. By the spring of 2012, just a few weeks shy of the one-year anniversary of my novel’s upload date, more than 600,000 copies of my first novel had sold. I’d left the legal job I’d held for more than a decade – the job at which I’d expected to work until retirement – to write full-time. The Mill River Recluse had been picked up for publication in several foreign markets, and I’d signed a contract for two new Mill River novels with Ballantine Books, a division of Penguin Random House. Ballantine eventually picked up the rights to The Mill River Recluse for publication in the U.S. and Canada as well. Although my journey to publication took one of those new paths and was far more unusual than any scenario I’d ever imagined, I’m thrilled to be where I am today. The release day for my second novel, The Mill River Redemption, is finally here, and I've also finished a first draft of the third Mill River novel. I’m a writer. It still feels exciting and a little strange to say that, and it will be a challenge now to maintain this new writing career, but I’m up for it. I'm also incredibly grateful to have had my childhood dream come true. 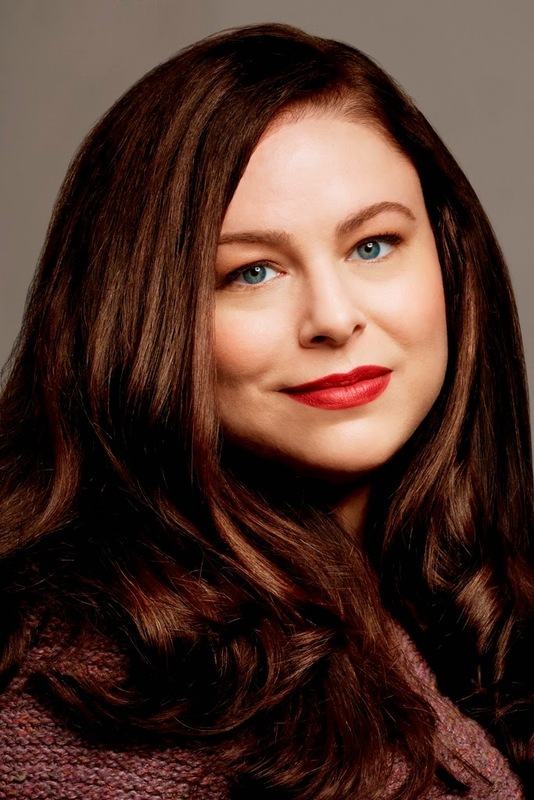 Darcie Chan is the New York Times bestselling author of the eBook sensation The Mill River Recluse and the novel The Mill River Redemption. She has been featured in The New York Times, USA Today, and The Wall Street Journal. For fourteen years, Chan worked as an attorney drafting environmental and natural resource legislation for the U.S. Senate. She now writes fiction full-time and lives north of New York City with her husband and son. Wow, I love it when an author finds success in an unconventional way. I can just imagine how excited Chan and her family were! What a great story! And how exciting to go from pushing that "publish" button to signing a contract with a major publisher!